Bitcoin virus - any type of malware that is used by cybercriminals to illegally mine cryptocurrency on the infected PC. Bitcoin virus is a type of malicious program that seeks to mine Bitcoin cryptocurrency illegally while using victims’ CPU power. In some cases, graphics processing unit (GPU) can be utilized as well. 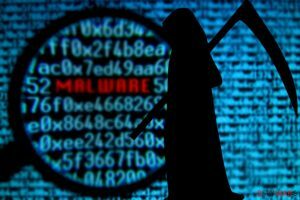 It typically enters machines via a trojan horse – a backdoor virus that clears the path for coin-mining malware. The extensive usage of computer hardware diminishes overall performance of the device (eventually it can lead to its destruction), as well as increases the electricity consumed, leading to raised electric bills. 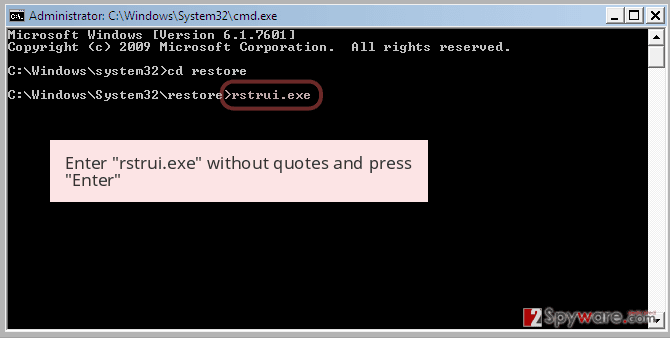 Nevertheless, users can also detect the malware by noting questionable process in the Task Manager, such as XMRig. 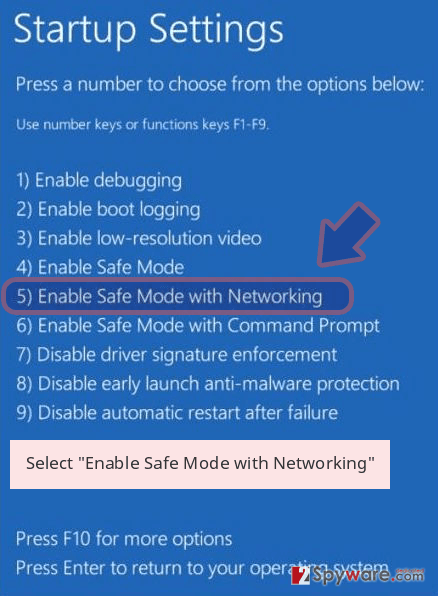 The infection can reach out Windows, Mac, and Android devices. CPU Miner, Vnlgp Miner, etc. Spam emails, fraudulent messages on Skype, EternalBlue exploit, etc. Bitcoin virus is capable of harvesting various crypto, including Monero, Electroneum, Litecoin, Ethereum, although the most prominent one is Bitcoin. It is a virtual currency which was first introduced in 2008. However, the usage of this digital currency increased only in 2011. At the time of the writing, Bitcoins have already reached the circulation rate of more than 17 million as of late May 2018. There is no surprise that even the most reputable companies accept this currency. However, it is created not through a central monetary agency, but through the computers that perform CPU-intensive crypto calculations. Therefore, cybercriminals are always looking for new ways to take advantage of this feature by creating new versions of Bitcoin miner. There are several variants of BitcoinMiner, as well. The most known of them are called CPU Miner and Vnlgp Miner. Unfortunately, you can hardly notice when your computer gets infected by it. According to experts, this malware attempts to hide by trying to work only when the victim is not using his/her device. However, you can notice the Bitcoin virus by monitoring your PC’s speed. According to research, the use of the machine’s CPU grows up rapidly when this virus infiltrates it, so don’t ignore such changes. What is more, the Trojan horse might also be capable of opening the back door or download other malicious programs. 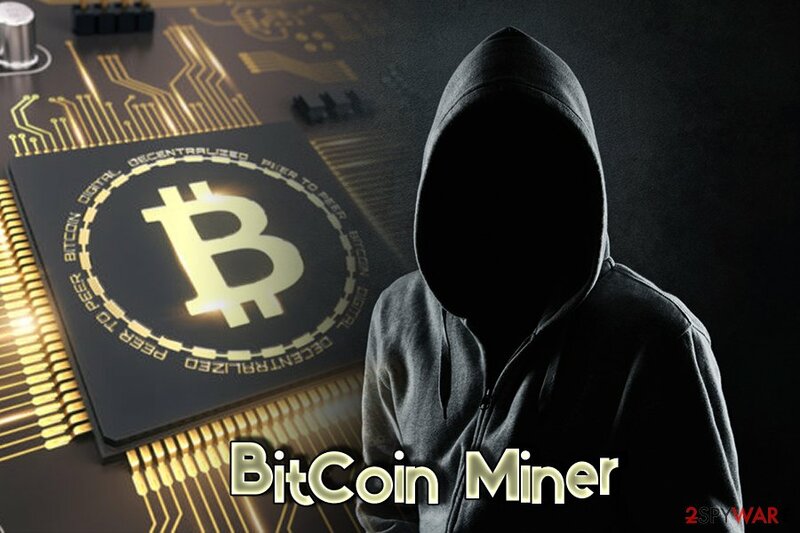 BitcoinMiner is a crypto-miner which abuses targeted machine's CPU and GPU to mine various cryptocurrencies for hackers. 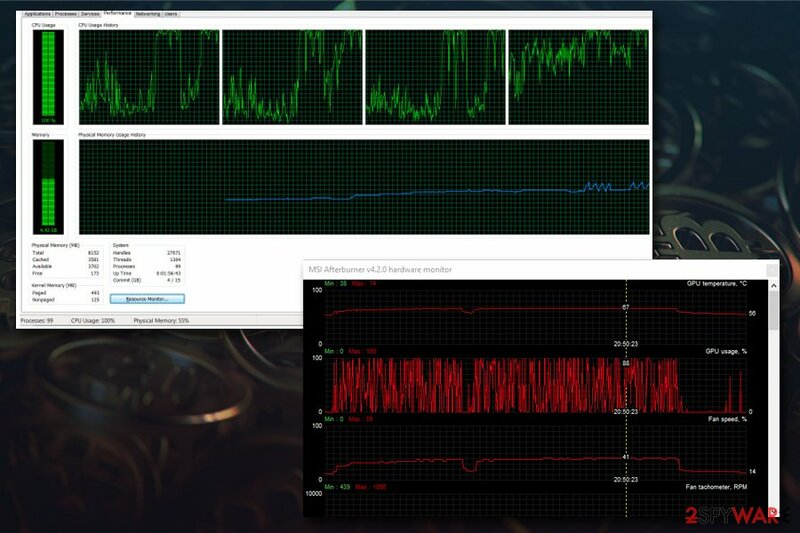 If the GPU of your device is used instead of CPU, you will not be able to spot it in the Task Manager. However, you will be able to see stuttering and freezing frames when performing graphics intensive tasks, such as gaming or full HD video processing. Some users may naturally come to the conclusion that their graphics card is about to break. Nevertheless, if you experience such symptoms, you should download software that can measure temperature and workload on your GPU, and check if Bitcoin Miner infection causes the malfunction. There are many reasons why your computer might be working slowly – incompatible software or hardware, corrupt system or software files, outdated registry entries and similar issues. However, it is always worth scanning your machine with reputable anti-virus software first. We recommend using Reimage or Plumbytes Anti-MalwareMalwarebytes Malwarebytes. 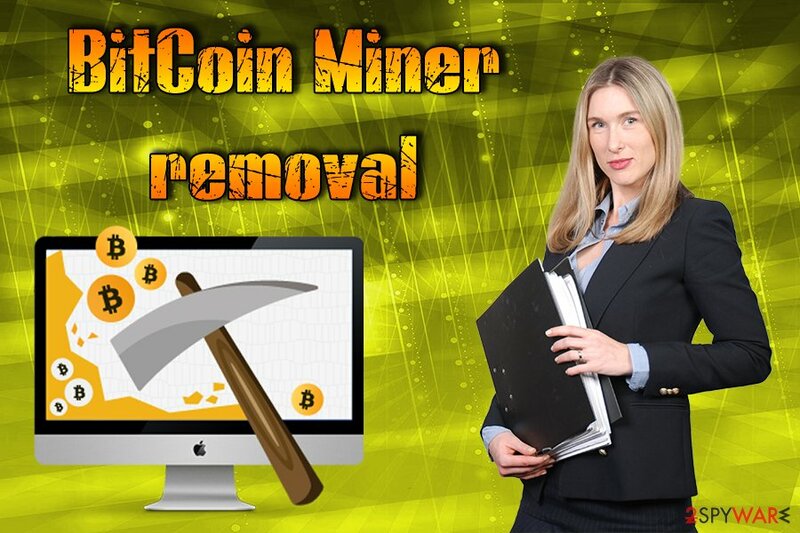 This security software will immediately detect and remove BitcoinMiner from Mac OS X or Windows. Bitcoin ransomware is a specific version of Bitcoin malware, which can infiltrate a computer without user’s approval and then encrypt each of his/her files. This threat has been noticed after encrypting the entire network of one medical center in the USA. However, it can also affect regular home users leaving them without the access to their files. Bitcoin mining malware can put the CPU and GPU under a tremendous amount of stress. Once it finishes the encryption of victim’s files, Bitcoin ransomware displays a warning message asking him or her to pay the ransom of 1.5 bitcoin. Please, do NOT pay it as you may end up with nothing! Keep in mind that you are dealing with scammers who can take money from you and leave you without a special code needed to decrypt your locked files. In this case, you should perform Bitcoin miner virus removal with Reimage and try to encrypt your files with the help of these tools: Photorec and R-studio. Keep in mind that dealing with cybercriminals is never an option! At the end of July 2017, it was reported that cryptocurrency mining malware infected 25% of computer users in Russia. However, some sources state that this cyber infection may have infiltrated 30% of Russian computers. According to the official data, the majority of affected devices run in Windows OS. Meanwhile, Mac computers and iPhones haven’t suffered a lot from the virus. 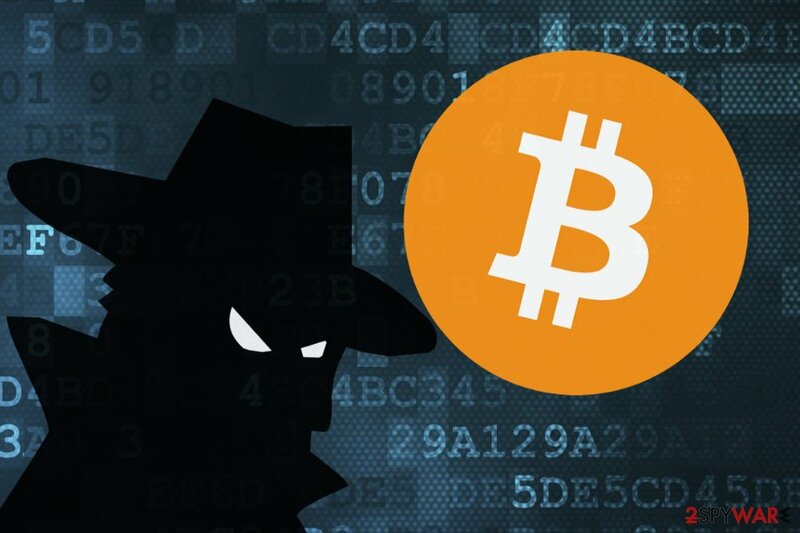 Authorities published the information about Bitcoin mining virus. However, security specialists and antivirus vendors claim that the scope of the attack is exaggerated. Experts agree that in the past there were few issues with this malware, but not as vast as it is has been stated recently. It might be difficult to detect the infection; however, high CPU and/or CPU usage is the first indicator which should not be missed. A representative from Kaspersky Labs, which is one of the leading Russian antivirus vendors, claims that if such a massive attack were held, they would have noticed it. However, since the beginning of the year, only 6% of their customers have suffered from BitcoinMiner. According to security experts, this virus is mostly spread via Skype network, but it has also been noticed on other social networks, so beware about that. Typically, this virus relies on a spam message, which claims something like „this my favorite picture of you” and includes a malicious file. Of course, virus seeks to convince its victims to download the file onto their computers. Certain versions of malware were also seen being spread using the EternalBlue exploit. If you want to avoid it, stay away from such messages. 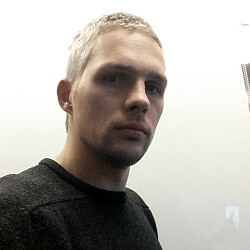 Once victim downloads the “photo,” he not only lets malicious pieces inside the machine but allows the virus to connect PC to its command-and-control server. Once inside and active, the virus turns the infected machine to the Bitcoin generator. However, it can also be designed to the virus, which steals banking details, records the keystrokes or downloads more malware on its target PC. If you think that your computer is infected with malware, you should scan it with updated security software, such as Reimage or Plumbytes Anti-MalwareMalwarebytes Malwarebytes. If your device is affected, your chosen security tool will remove Bitcoin virus immediately. 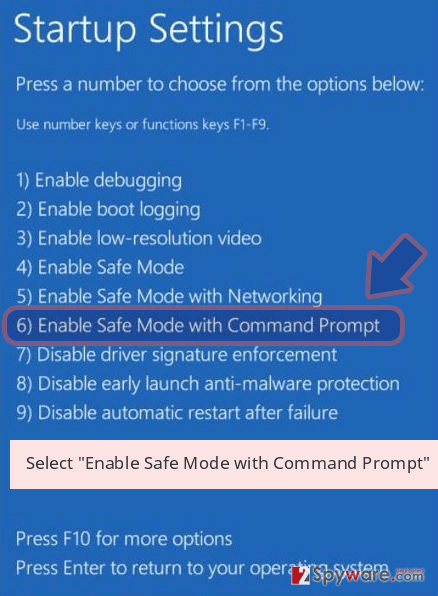 Make sure you check the system immediately after noticing changes in your computer’s speed because it is the only way to get rid of this threat without additional problems. The appearance of other viruses and the loss of your sensitive information can be expected when having Bitcoin malware on a computer. Cybercriminals seek to gain monetary benefit by using victims' systems. Do not allow hackers to earn money while compromising your device. 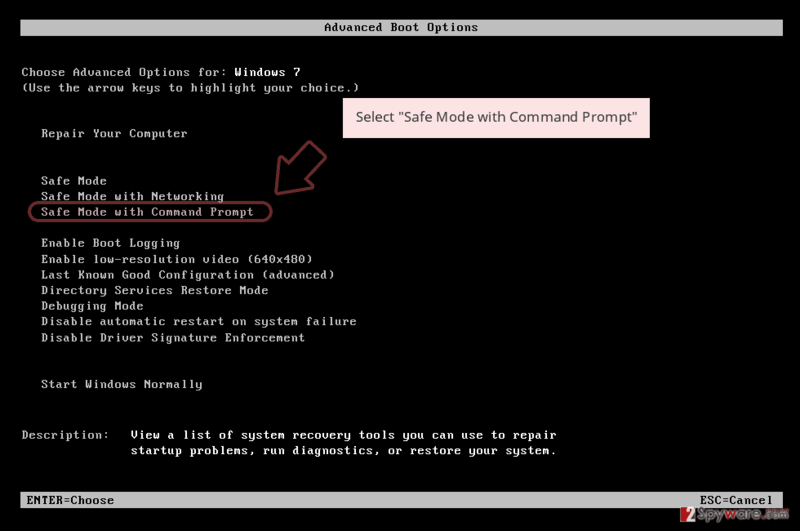 These programs should also help you perform Bitcoin virus removal from the system. However, sometimes viruses that are categorized as ransomware block anti-virus software to prevent their removal. If you are dealing with such problem right now, follow a guide below. Log in to your infected account and start the browser. Download Reimage or other legitimate anti-spyware program. Update it before a full system scan and remove malicious files that belong to your ransomware and complete Bitcoin removal. 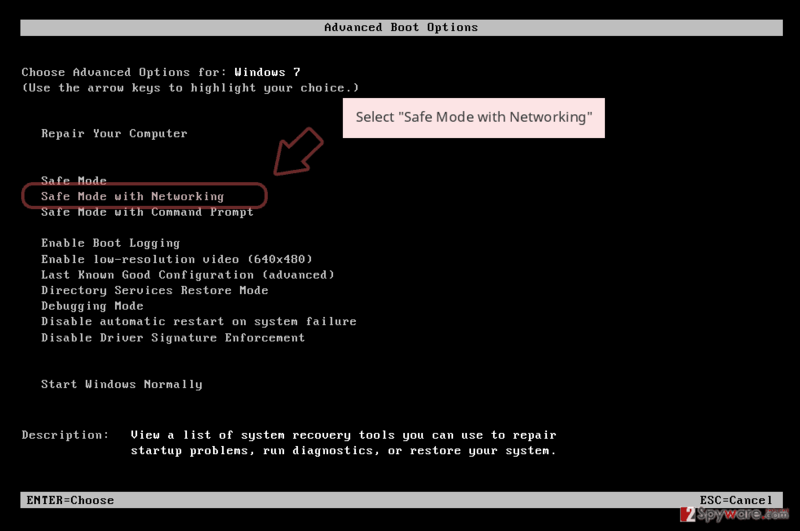 This method helps to disable the virus in order to run its automatic removal. When a new window shows up, click Next and select your restore point that is prior the infiltration of Bitcoin. After doing that, click Next. Once you restore your system to a previous date, download and scan your computer with Reimage and make sure that Bitcoin removal is performed successfully. Guide which is presented above is supposed to help you remove Bitcoin from your computer. To recover your encrypted files, we recommend using a detailed guide prepared by 2-spyware.com security experts. If you a ransomware variant of the Bitcoin virus encrypted your files, this tool might help to recover at least some of them. 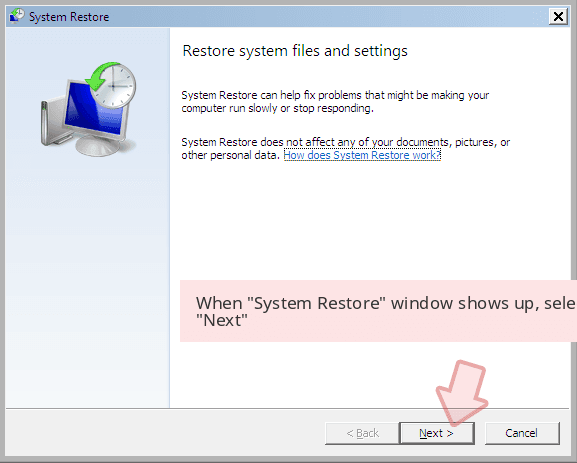 This method helps to copy previously saved versions of files. 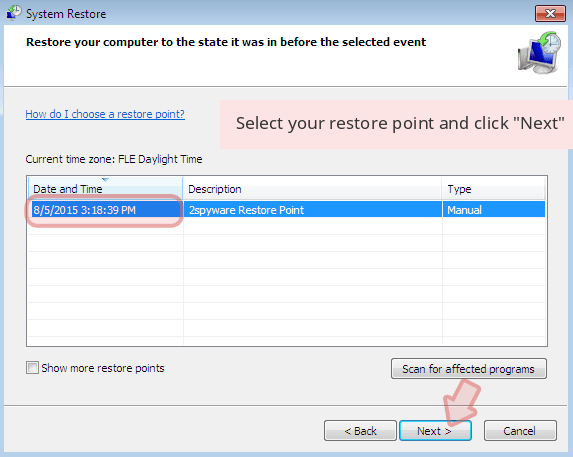 However, System Restore has been enabled before ransomware attack. ^ What is cryptojacking?. Hacker bits. Monthly tech magazine. ^ Bitcoins in circulation. Blockchain. Bitcoin wallet and Bitcoin statistics. ^ Natasha Stokes. 14 Reasons Why Your Computer is Slow. Techlicious. Tech website. ^ A Strange Bitcoin-Mining Virus is Sweeping all over Russia. SPAMfighter. The global provider of state-of-the-art computer, mobile and server utility and security products. ^ William Suberg. Bitcoin Virus ‘Has Infected 30% Of Russian Devices’: Putin Advisor. Cointelegraph . Bitcoin & Ethereum news, analysis and review about technology, finance and markets - Future of Money and FinTech news. ^ Bedynet. Bedynet. Russian website about computer viruses. ^ Karan Kapoor. Russia Allegedly under Attack By 'Most Dangerous' Malware That Mines Bitcoin https://bitcoinist.com/russia-allegedly-attack-dangerous-malware-mines-bitcoin/. Bitcoinist. News portal providing breaking news about decentralized digital money, blockchain technology and Fintech. ^ Diana Ugay. 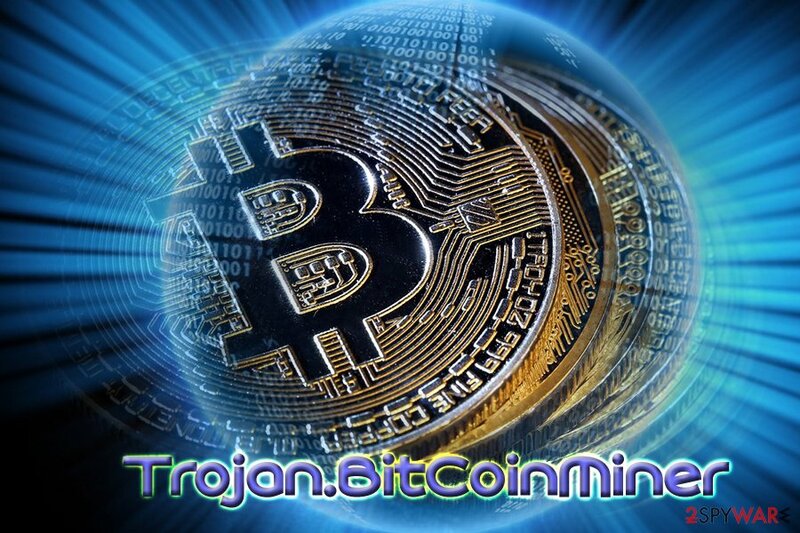 Trojan Bitcoin Miner affects 6% of Russian users. Hype.Codes. Programming Technologies News and Reviews. This entry was posted on 2019-04-01 at 00:18 and is filed under Trojans, Viruses. How did you remove Bitcoin virus?